Pergo Outlast+ Seabrook Walnut’s warm grey stain with white paint distressing creates a soft look in a very fashionable color. This flooring features a smooth, soft scrape texture that adds to the light feeling of this clean design. Strength and beauty come together in this incredibly durable laminate floor. With SurfaceDefense wear protection and the revolutionary new SpillProtect24 technology exclusively from Pergo that defends against household spills for up to 24 hours, your new floor will be worry-free. Pergo Outlast+. Insanely durable, always beautiful. 13.74 sq. ft. per case. Case quantity: 8. Case weight: 25.9 lb. 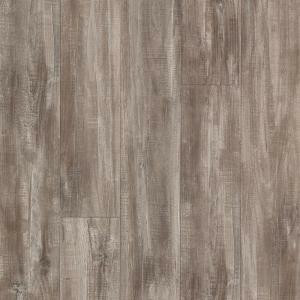 Buy online Pergo Outlast+ Seabrook Walnut 10 mm Thick x 5-1/4 in. Wide x 47-1/4 in. Length Laminate Flooring (13.74 sq. ft. / case) LF000870, leave review and share Your friends.